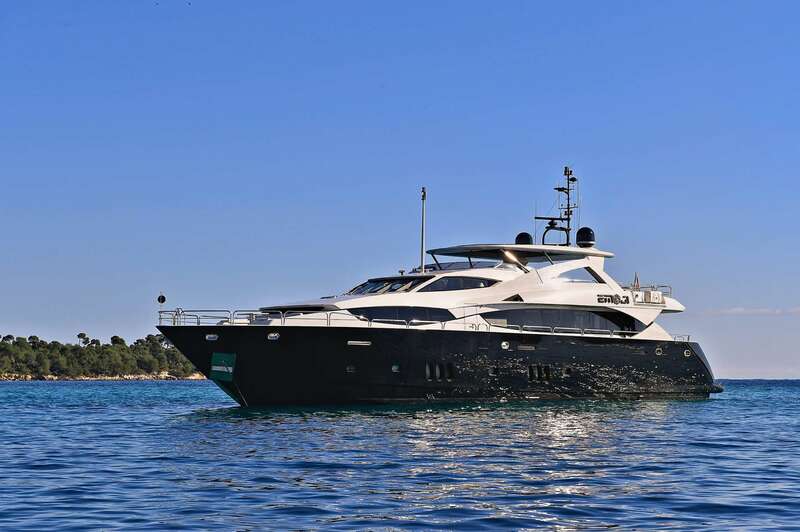 Luxury yacht EMOJI (ex.LADY GREY) was built by Sunseeker in 2010 and measures 34m(111,7ft). 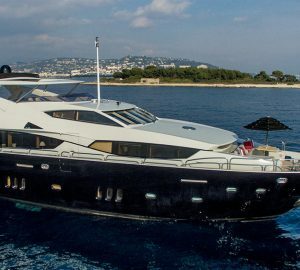 Capable of a cruising speed of 20 knots and a top speed of 26 knots, she is ideal for visiting multiple destinations along a single stretch of coastline and for island hopping. 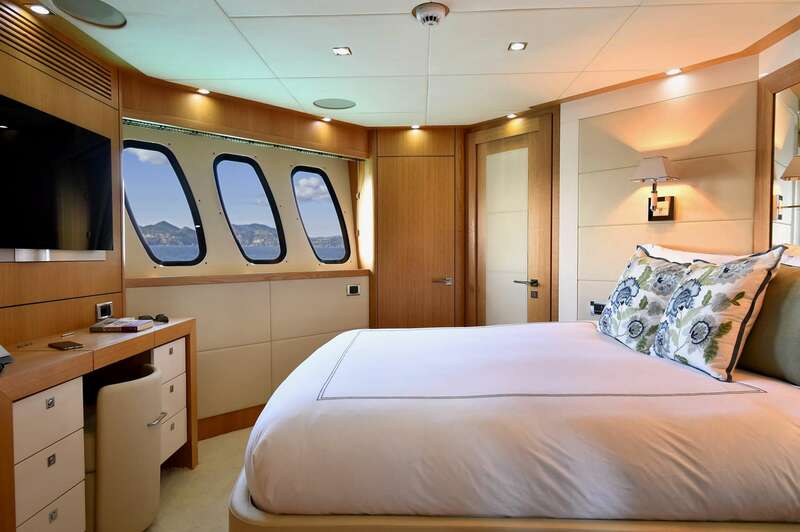 EMOJI offers accommodation for up to 10 guests in 5 cabins. Her pale oak interiors and cream furnishings create an elegant contemporary environment in which guests can relax and entertain. The main salon features vibrant accents in red and blue, and the Persian rugs add a welcome element of the 'old' to the immaculate interior. Forward of the main salon within the same open plan room, a large formal dining table seats up to 8 guests, and the same pale oak wood can be found in the furnishings to create a cohesive and flowing appearance. 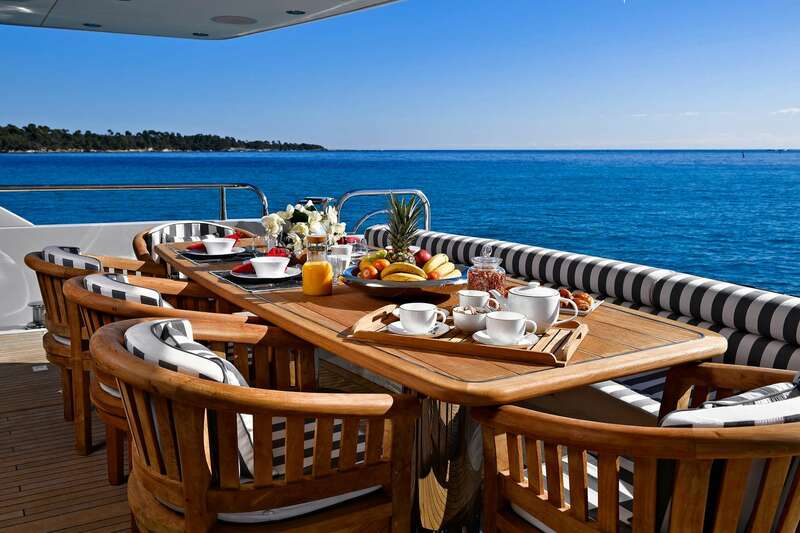 Out on the main deck aft,sunpad there is an alfresco dining table and a lounging area along the stern. 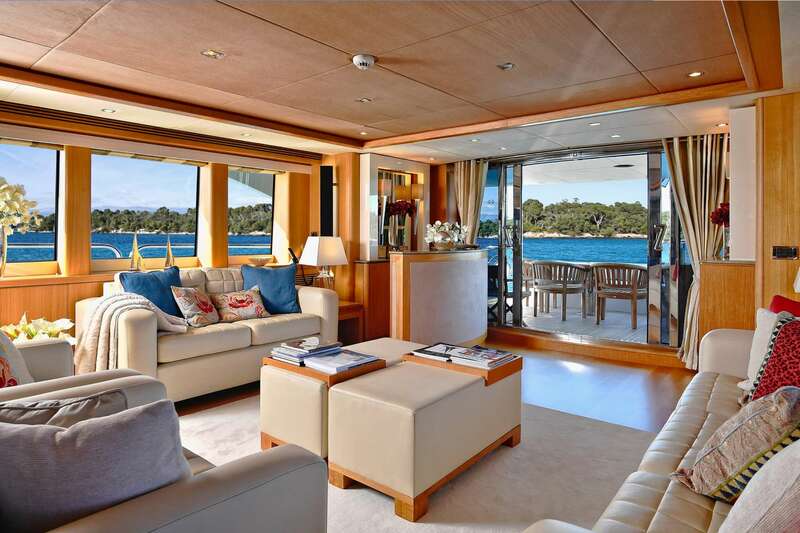 Steps descend to the swim platform, where guests can access the water with ease while using the water toys stored in the tender garage. 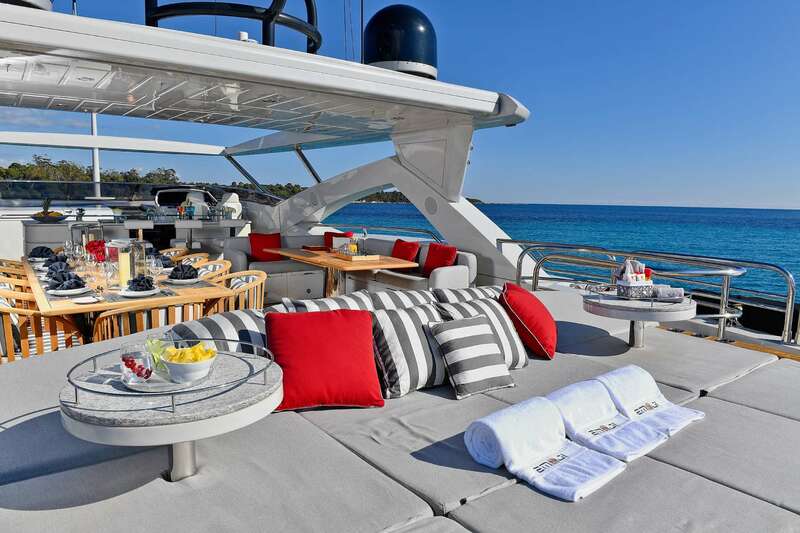 Along the main deck towards the bow, there is a large sun lounging area which has room for a sun umbrella for quick and easy shade. 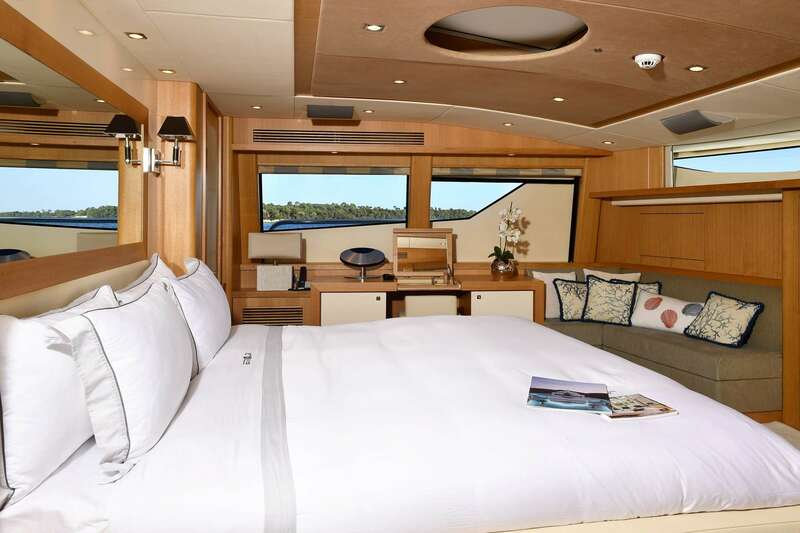 On the flybridge, there is a large sun pad area and the second option for alfresco dining. 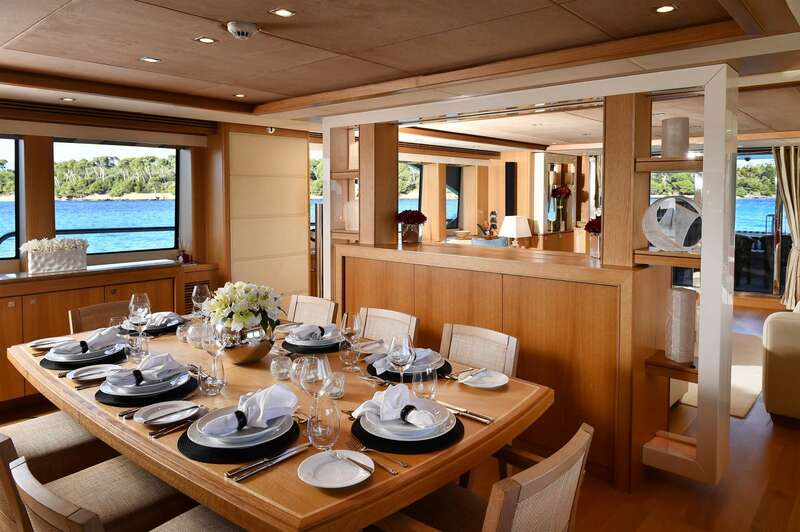 A retractable bimini cover lets guests dine sheltered from the height of the midday sun, or experience the warm weather at its best. 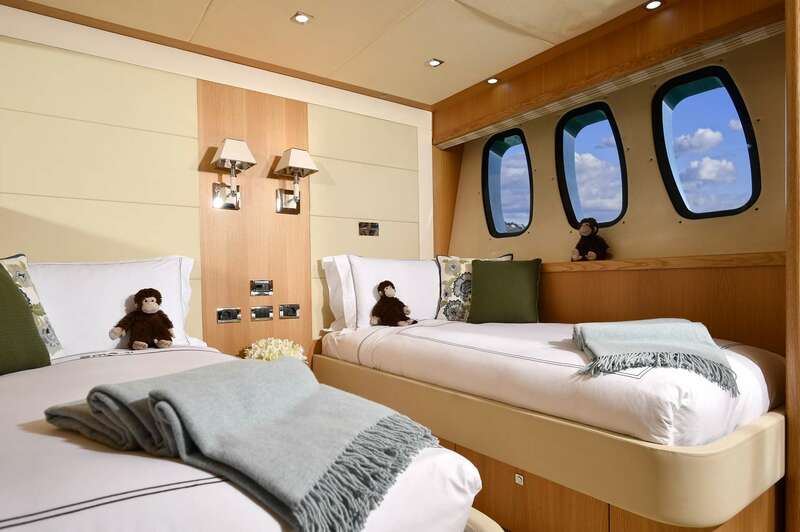 Superyacht EMOJI is able to accommodate up to 10 guests over 5 cabins: 1 Master suite, 2 double cabins and 2 twin cabins.